At unity rally, Seattle Jewish community says no to BDS! Tonight history was made and an example for Jewish communities across the nation was set. 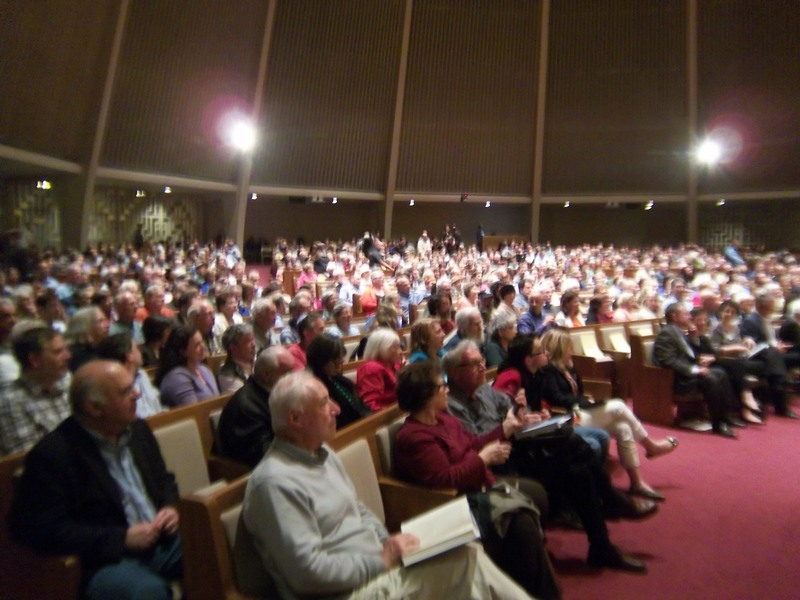 The Seattle Jewish community, with sponsorship from over forty disparate organizations, stood as one tonight against the latest in the millenia long effort to destroy the Jewish people. Over one thousand members of the Jewish community from across the spectrum attended a unity rally against BDS at Temple De-Hirsch Sinai this evening. The rally was addressed by Rev. Ken Flowers, a Baptist Minister and renowned civil rights leader, and Ari Shavit, an Israeli left wing author. Here are a few blurry video (but with good audio) snippets of Rev. Flower’s talk. Ari Shavit offered a detailed analysis of Israel’s too precarious position, much of it hard to swallow (or accept) for those more to the right, but equally, if not more so – difficult to digest for those on the left. Shavit asserted that a battle with life and death implications is being fought, most notably on college campuses. With indignation and firmness he asserted that the Jewish people could not in any meaningful way survive the destruction of Israel, which is the ultimate goal of the BDS movement. 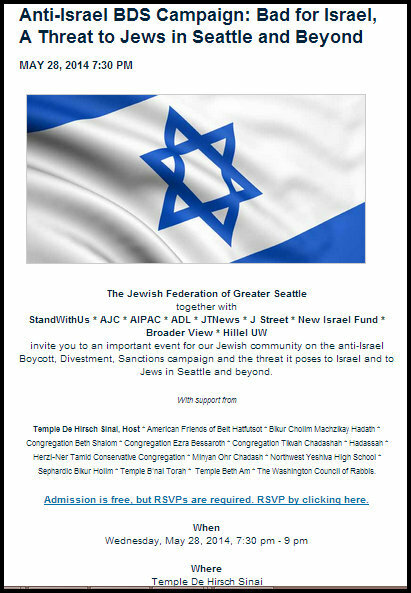 An unprecedented evening of Seattle Jewish unity against BDS. I will be writing a more detailed article about the events of this evening in the coming days, there is much more to say and I need to reflect and formulate my thoughts a bit. But a precedent was set tonight and a statement was made. 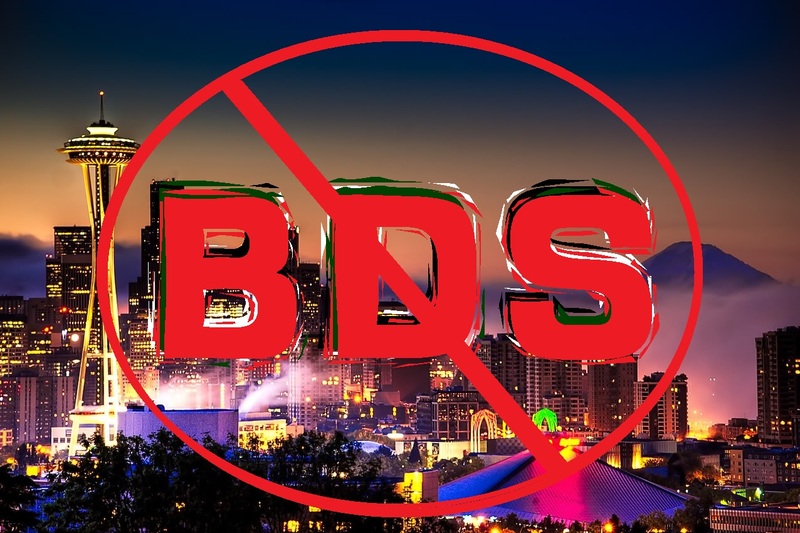 The Jewish community of Seattle stood in unity and declared that BDS is a dangerous movement with the intent of destroying the Jewish state. As such there is no room for BDS or its supporters within the Jewish communal tent. 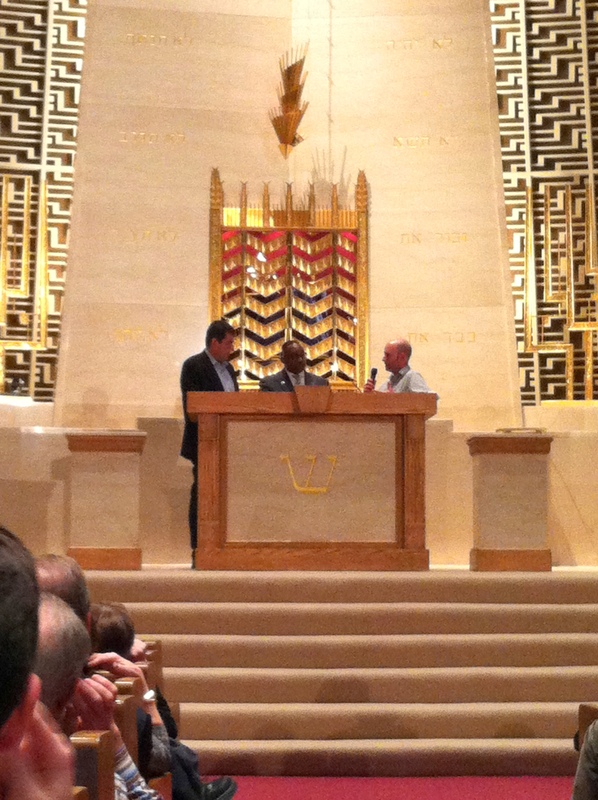 Ari Shavit (far left) & Rev Ken Flowers (center) respond to questions from the audience. Any idea if there is video of the event? Thanks. Had been looking for it to appear. I take it Seattle’s resident scumbag, Dickie Silverslime, was not present? @shimona: Nope, he was not there.